Groundradar delivered multiple UltraGPR systems to Laos for use in bauxite exploration. Lateritic bauxite deposits are excellent radar environments when the correct instrumentation and processing is applied. Radar is able to map the depth of bauxite as well as the degree of bauxite blockiness rapidly, both of which are useful in designing strategic drilling programs. 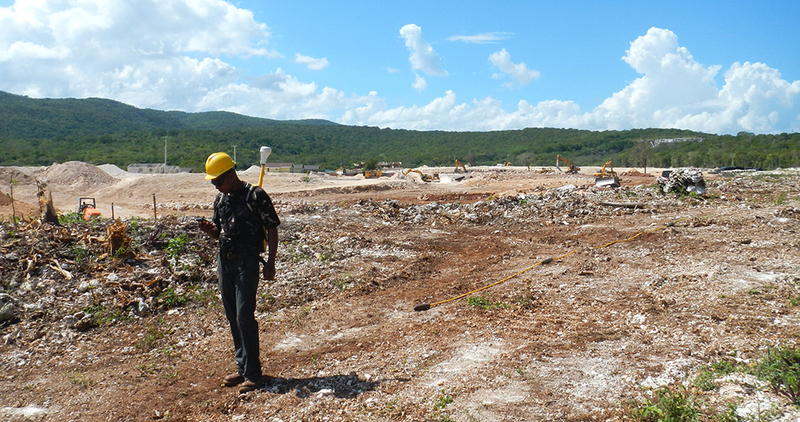 Groundradar’s Jamaican partners have completed a large project over a proposed housing development site to map karstic voids. A large number of voids were detected of various sizes during four days of field work. The resultant void plan maps and 3D models will be used by the developer to strategically place structures to minimise geotechnical risks. GroundTruth Exploration has partnered with Groundradar to deploy UltraGPR technology on a variety of placer gold exploration projects throughout the Yukon. UltraGPR offers a dramatic improvement over consumer-grade GPR systems in extremely rugged conditions. Penetration depths to 40 m have been achieved through sediment containing some clays. Most importantly, large surveys have been completed rapidly, reducing costs to the end client. Following another successful PDAC show in Toronto, Groundradar deployed UltraGPR to numerous projects worldwide, including the Yukon (alluvial gold), Jamaica (karstic voids), Laos (bauxite), and Papua New Guinea (karstic voids). In early April, a large production survey in Turkey at a zinc project will commence, as well as a series of trial surveys in Australia and Brazil.